is elated to Celebrate the Life of this powerful woman leader that is devoting her life to the education of orphaned children, with a focus inside India. 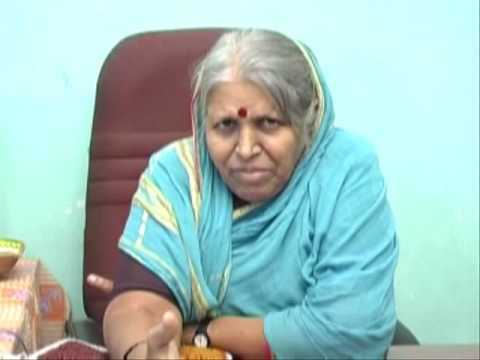 Sindhutai Sapkal also known as ‘Mother of Orphans’ is an Indian social worker and social activist known particularly for her work for raising orphan children. Childhood nickname “Chindi” meaning torn cloth. She was named thus as an unwanted child. Her father’s name was ‘Abhiman Sathe’. She could attend school until 4th grade, attended part-time due to other family responsibilities. She was brought up in abject poverty. Got married at the age of 10. Her husband abandoned her at the age of 20, and she left home with her infant daughter. She later donated her biological child to the trust Shrimant Dagdu Sheth Halwai, Pune, only to eliminate the feeling of partiality between her daughter and the adopted ones. 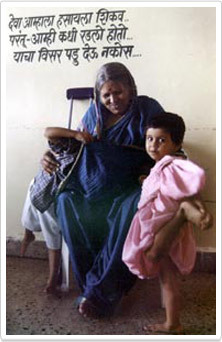 As of 2012, Sindhutai Sapkal has nurtured about 1,442 orphaned children. Many of the children whom she adopted are well-educated lawyers and doctors, and some, including her biological daughter, are running their own independent orphanages. One of her children is doing a Ph.D. on her life. To-date, she has been honoured with more than 500 awards. 2012 Real Heroes Awards,given by CNN-IBN & Reliance Foundation present the 5th Edition of the prestigious Awards. COEP Gaurav Purskar , given by College Of Engineering ,Pune (started from 2012). She was born on 14 November 1948 at Pimpri Meghe village in Wardha district Maharashtra to Abhimanji Sathe, a cowherd by profession. Being an unwanted child, she was nicknamed ‘Chindhi’ (torn piece of cloth). Her father was keen on educating Sindhutai, much against the wishes of her mother. Abhimanji used to send her to school under the pretext of cattle grazing, where she would use ‘leaf of Bharadi Tree’ as a slate as she could not afford a real slate because of her financial reasons. Abject poverty, family responsibilities and an early marriage forced her to quit formal education after she passed 4th grade. She has devoted her entire life for orphans. 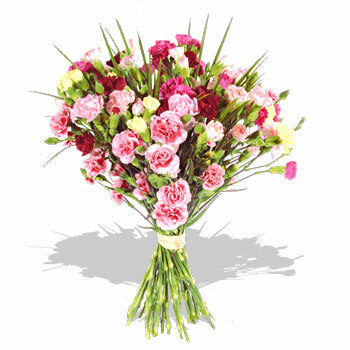 As a result she is fondly called ‘Mai'(mother). 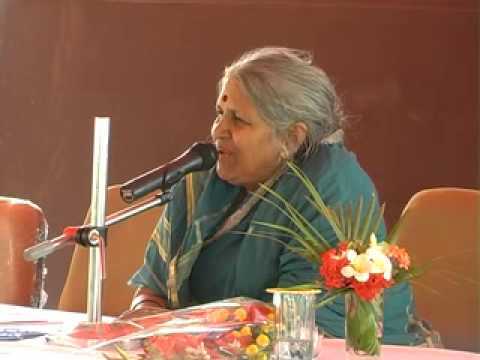 She has nurtured over 1050 orphaned children. As of today, she has a grand family of 207 son-in-laws, 36 daughter-in-laws and over 1000 grandchildren. She still continues to fight for the next meal. Many of the children whom she adopted are well-educated lawyers and doctors, and some, including her biological daughter, are running their own independent orphanages. One of her children is doing a Ph.D. on her life. She has been honoured with over 273 awards for her dedication and work. She used award money to buy land to make a home for her children. Construction has started and she is still looking for more help from the world. Sanmati Bal Niketan is being built in Manjari locality at Hadapsar, Pune where over 300 children will reside. At the age of 80, her husband came back to her apologetically. She accepted him as her child stating she is only a mother now! If you visit her ashram, she proudly and very affectionately introduces him as her oldest child! In person, she comes across as an unlimited source of energy and very powerful inspiration, with absolutely no negative emotions or blaming anybody. A marathi film ‘Mee Sindhutai Sapkal’ released in 2010, is a biopic inspired by the true story of Sindhutai Sapkal. The film was selected for world premiere at the 54th London Film Festival. The film is a biographical account of Sindhutai Sapkal, a woman who became a social activist after a traumatic life. Born in a poor, cattle grazing family in Wardha as Chindi (Ragamuffin), Sindhutai was first married off at the age of 12 to a man who was 20 years elder to her and then abandoned by her husband on charges of infidelity. Travelling through the backwaters of Maharashtra, the braveheart never abandoned hope and courage and ended up in San Jose on a fund-raising mission for her orphanage which still provides shelter to homeless kids. When some Volunteers visited the Orphanage managed by Sindhutai at Manjari Farm on 07th May,2011, we were amazed to see the development of kids. They were so polite and well behaved, which is tough to see in the Kids of Cartoon TV yug! All were studying in Schools, whereas many with parents are forced to beg or do work as child labour to make money! Children with facilities take studies lightly, but we personally met boys studying in BCA and LLB. Kids were so much attached to each other and to Mai and to Care Takers, which is not seen in today’s families even in blood relations. As kids don’t have any other place to go in Summer vacation, they were sent from one Ashram to another Ashram (ie.Saswad to Manjari Farm and Vice Versa) to spend Summer Vacation to have change, wWhich proves that Management and Mai tried to take care of this feeling so well. We request you to visit personally and motivate your friends also to visit the Ashram, so that you will get fair idea of real needs and developments. welcomes this powerhouse into our global alumni with open arms, looking forward to future collaborations, bettering the lives of all women and children, focusing on the challenge of servicing the needs of children.